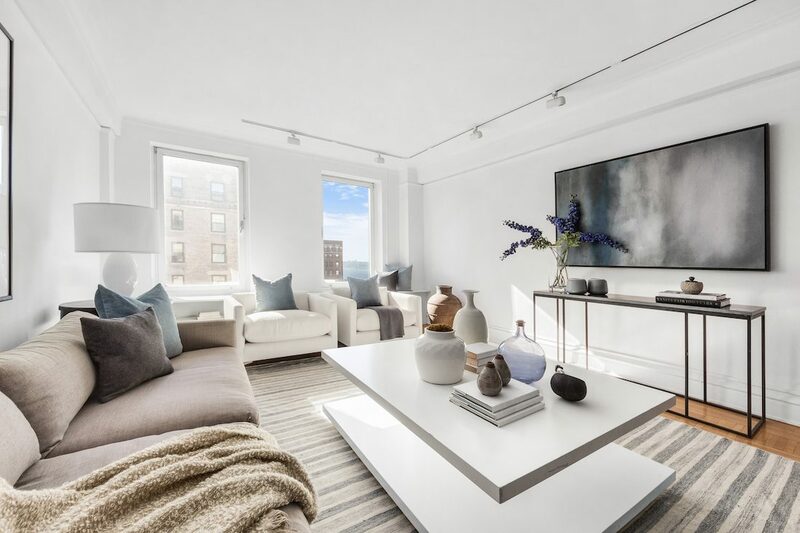 A luxury residence we recently staged on Manhattan’s Upper West Side went under contract in just 21 days! 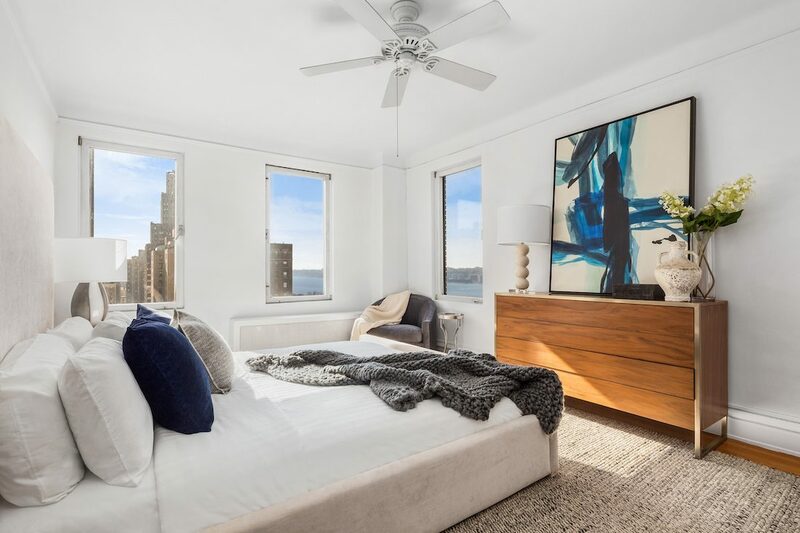 The rare corner classic apartment is on the 12th floor of one of legendary New York architect Rosario Candela’s finest buildings. The home boasts eight rooms, with impressive river views from every one. 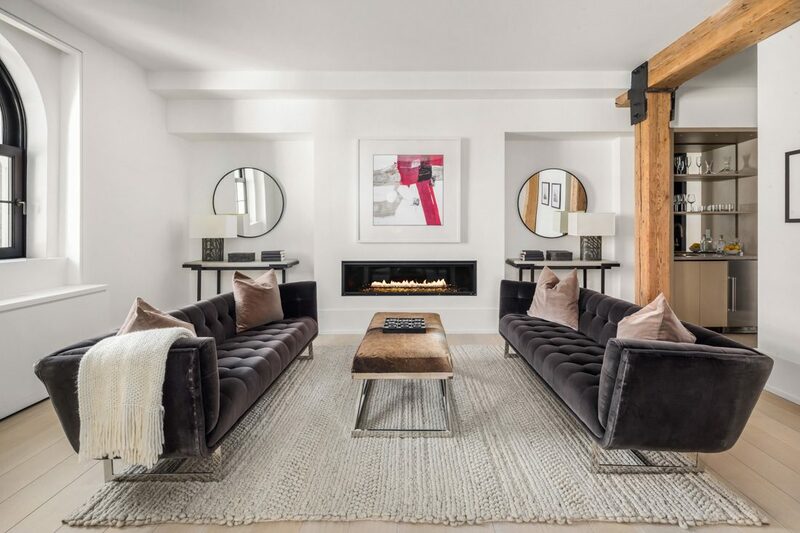 Our design was transitional throughout, mixing contemporary pieces with more traditional accents, creating a space that felt elegant, welcoming, and ultimately irresistible to its buyer! 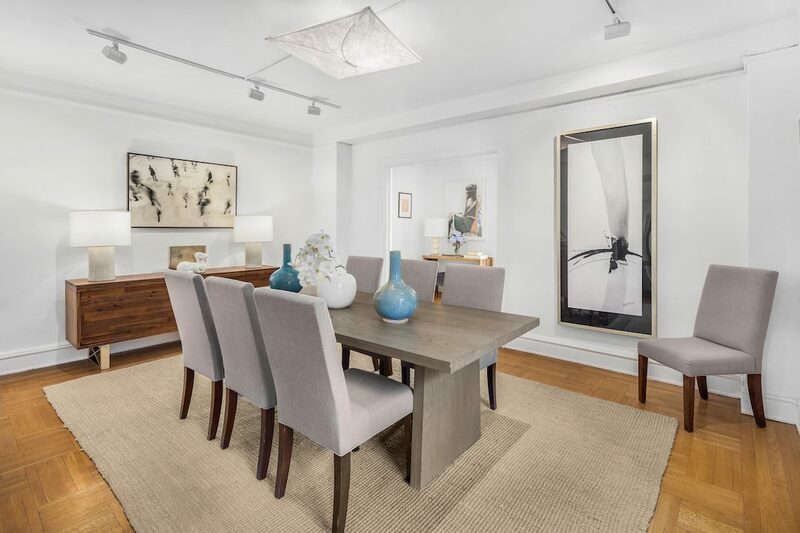 We staged the $2,995,000 listing for The Katzen Team at Douglas Elliman Real Estate. Meridith Baer Home recently staged this deepwater estate on the Sanctuary waterfront in Boca Raton, Florida! 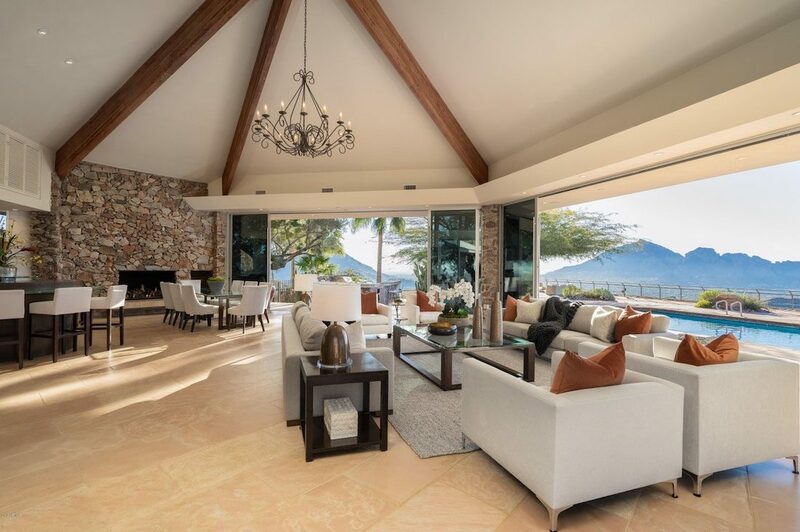 The newly renovated 14,398 square foot mansion features six bedrooms, 13 baths, retractable doors for indoor/outdoor entertaining, and a dedicated boat dock. We installed transitional furnishings throughout the property, with earth toned pillows and throws accenting a crisp white palette, lending the space a distinctly elegant and high-end coastal feel. We staged the $9,950,000 listing for Premier Estate Properties. Thanks so much to The Scout Guide Naples for this lovely video featuring MBH’s own Cami McCombie spotlighting an estate we staged on Half Moon Lake in Naples, Florida! 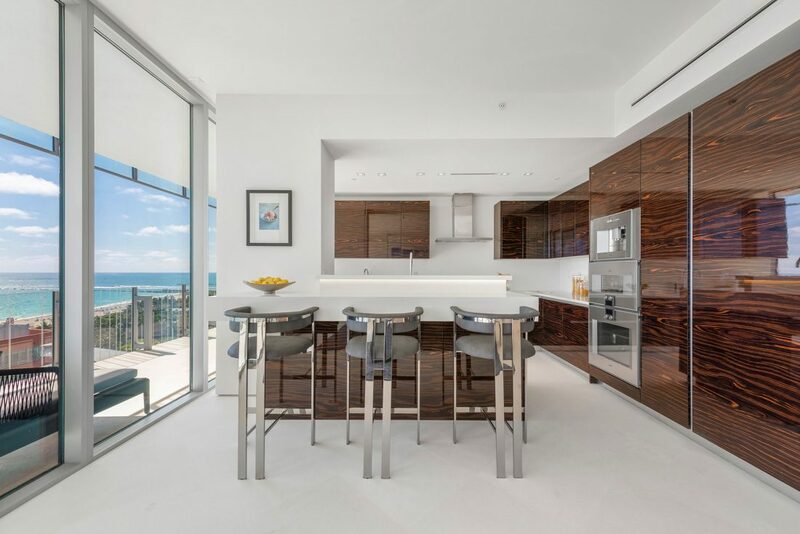 The newly built mansion by renowned Florida architect Jonathan Kukk features over 7,700 square feet of living space and is ideally situated only steps away from the world class Port Royal Beach Club. 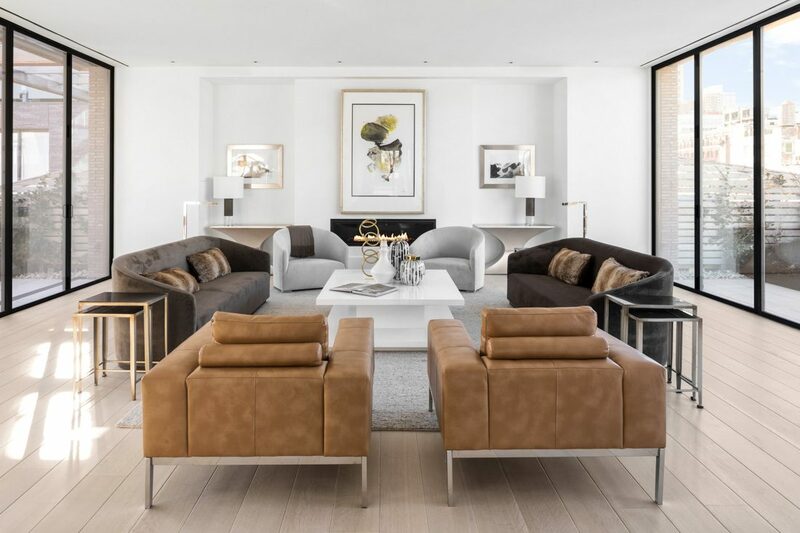 We furnished the property in our signature transitional style, with textured fabrics and woods providing a warm counterpoint to an utmost luxurious white base. Meridith Baer was recently quoted in the Architectural Digest story How to Start a Home Staging Business! 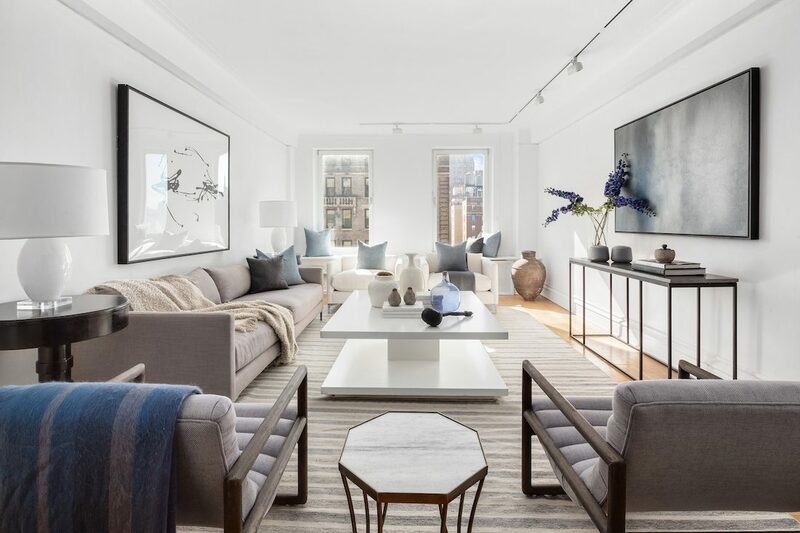 “We hire interior designers all the time and a lot of them do have their own design business on the side,” says Meridith Baer, founder of Meridith Baer Home. “If interior designers want to get into it, they might get their feet wet by working with a company like ours.” Baer also recommends working with former design clients to get their homes ready for sale or offering “reimagining” services, which use the clients’ existing furniture but give the space a new look. 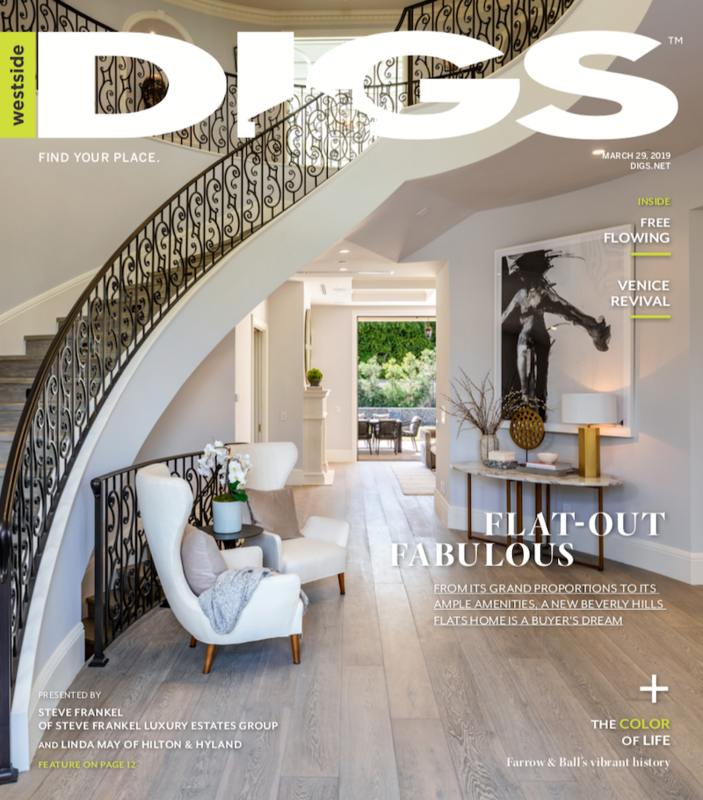 Meridith Baer Home staging is featured in the cover story of the latest issue of Westside DIGS magazine! 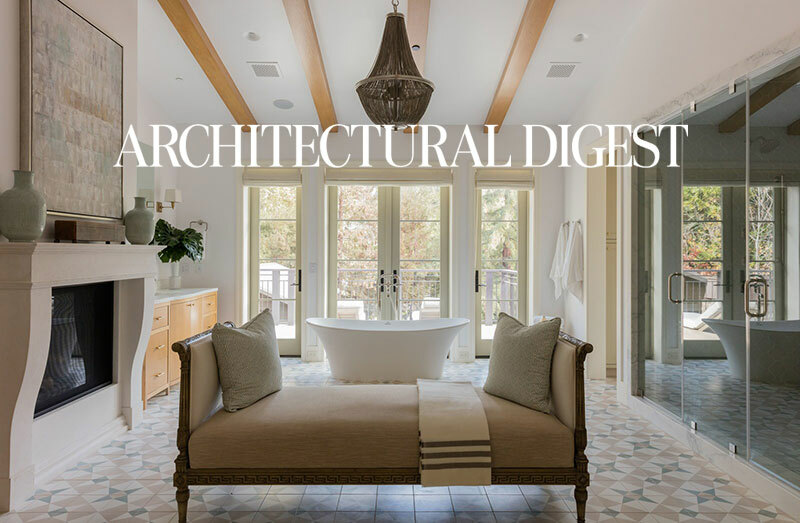 The story is called Flat-Out Fabulous and spotlights a European style villa in Beverly Hills Flats designed by renowned architect Hamid Gabbay. 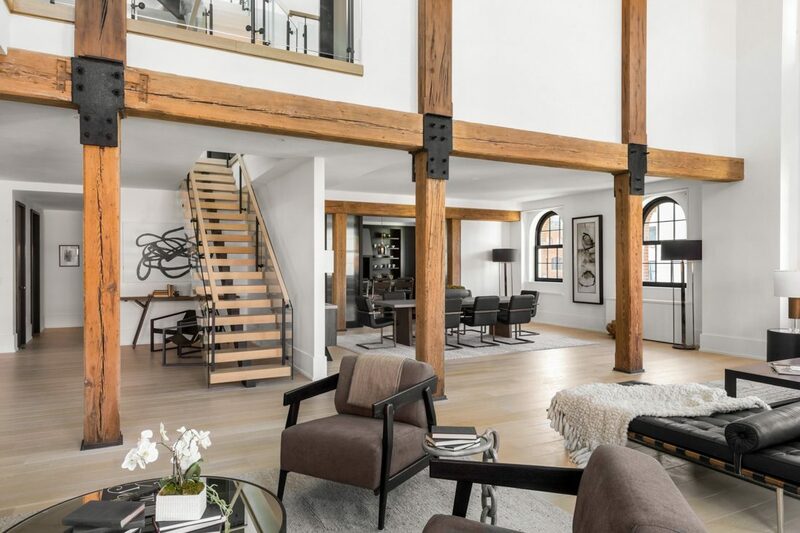 The six-bedroom house boasts more than 10,000 square feet of living space on three levels, with a grand two-story foyer with spiral staircase and a luxurious living room with a martini bar. 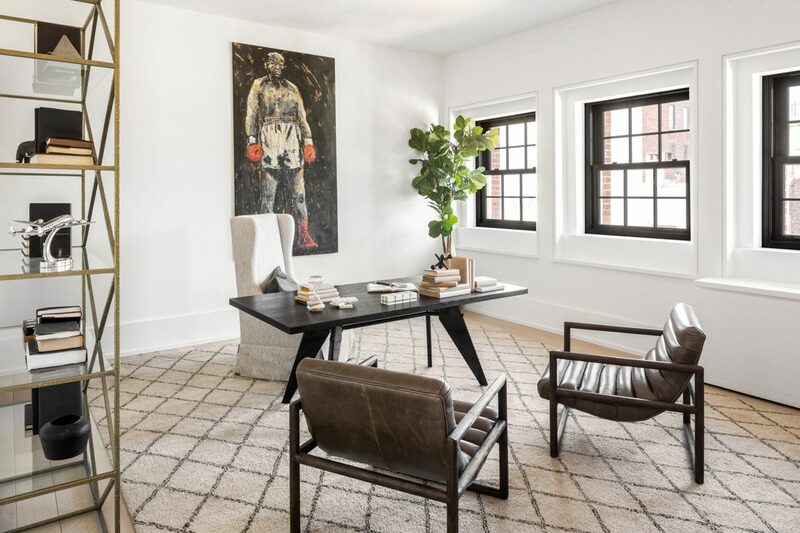 We furnished the home in a rustic transitional style, with an earth-toned palette and textured fabrics complimenting the Old World elegance of the architecture. 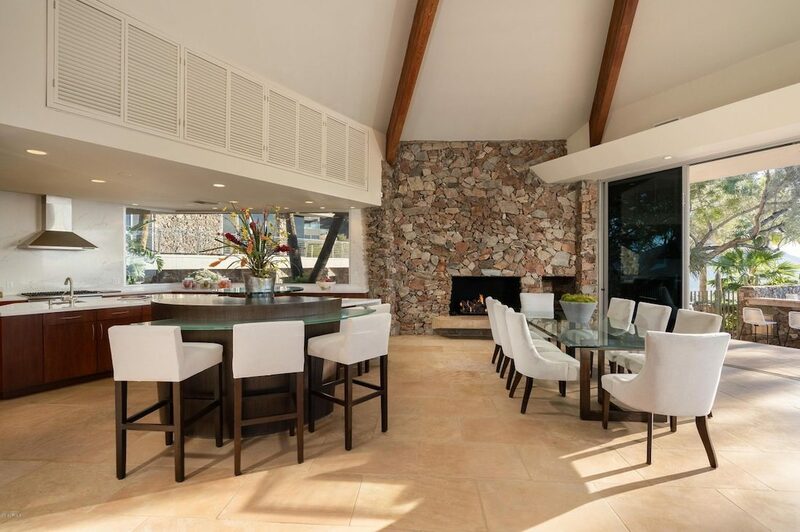 We staged the $15.9 million listing for Steve Frankel, Coldwell Banker, and Linda May, Hilton & Hyland. 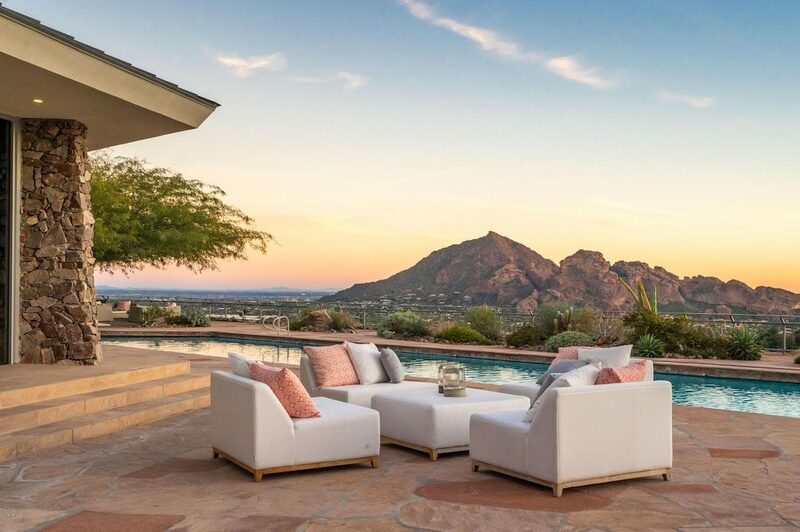 Meridith Baer Home is now offering luxury home staging in Arizona! 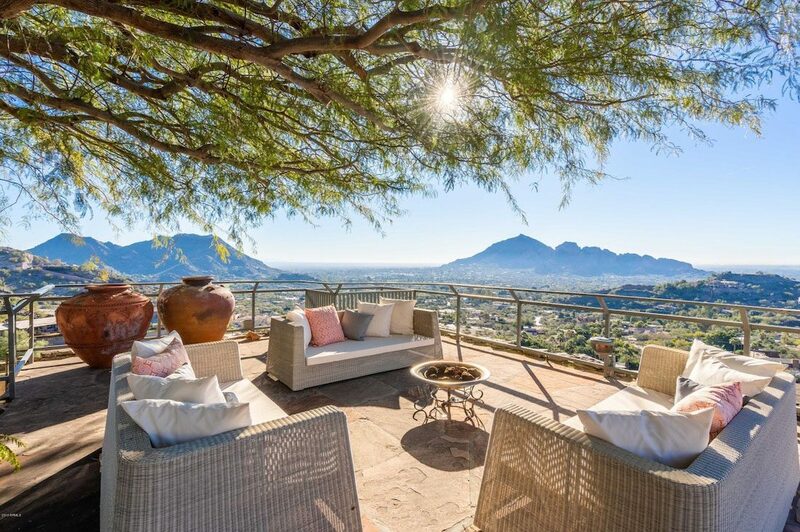 Our debut in the area is this pinnacle contemporary estate in Paradise Valley. Featuring classic desert chic architecture, the 8,021 square foot house boasts five bedrooms, 5.5 baths, and dramatic views from the Superstition Mountains to the lights of downtown Phoenix. 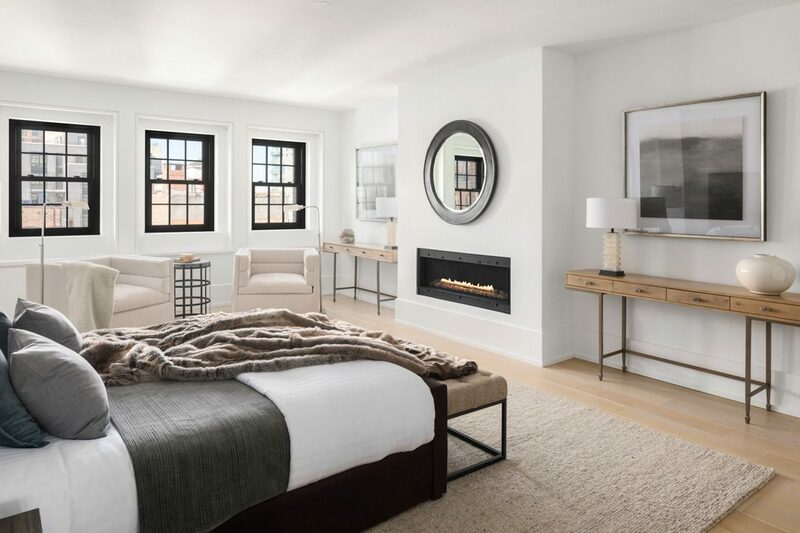 We furnished the property in our signature layered, luxurious transitional style, with sumptuous throws and colorful pillows accenting an elegant white palette. Do you need luxury home staging, interior design, luxury furniture leasing, or Instant Home services in Arizona? Luxury staging by Meridith Baer Home is featured in this gorgeous video for 195 Monarch Bay Dr. in Dana Point, CA! 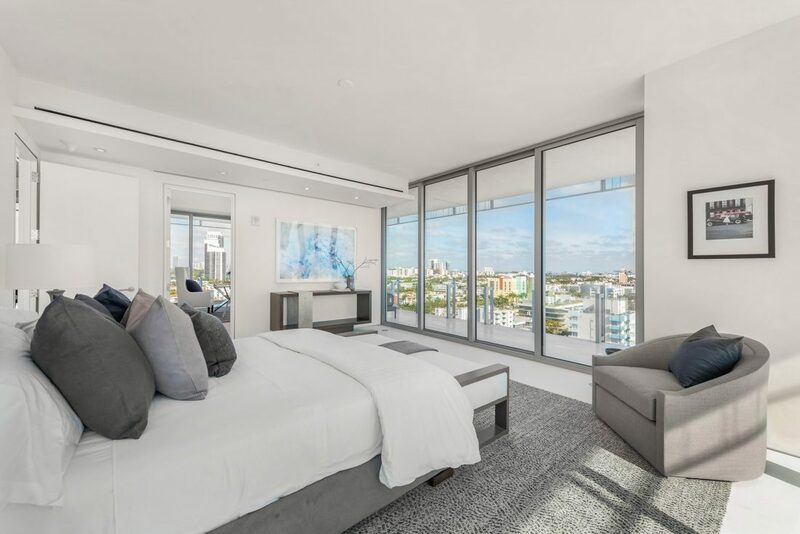 The newly built beach casual, contemporary residence boasts four en-suite bedrooms within 4,600 total square feet of impeccably architected living space. 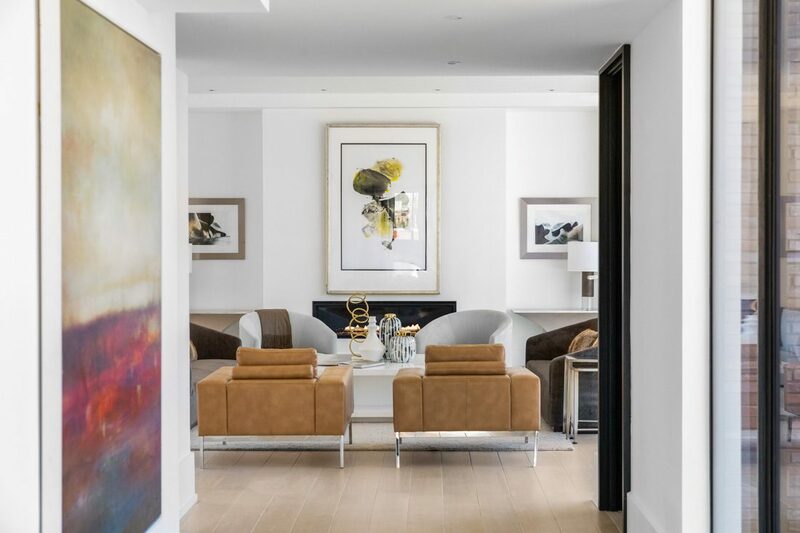 We furnished the property in an elegant transitional style, with sumptuous fabrics and understated abstract art lending a luxurious and welcoming feel to the space. 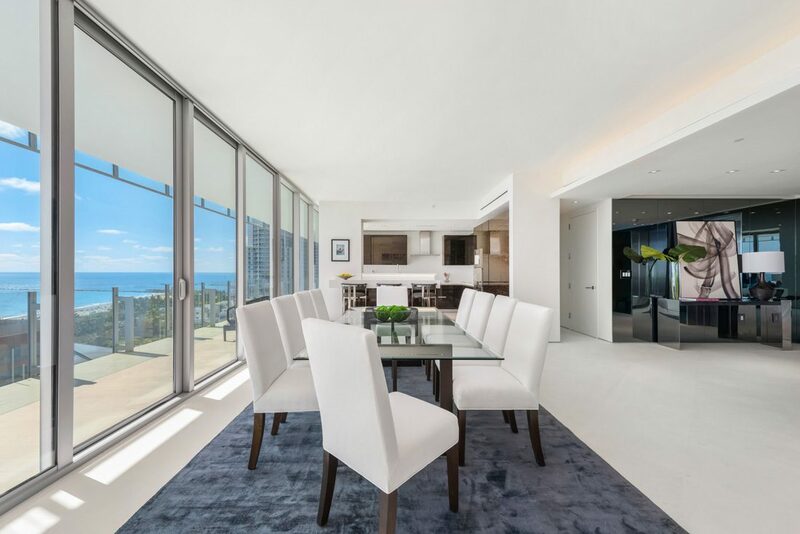 We staged the $6,795,000 listing for Michael DiPilla. 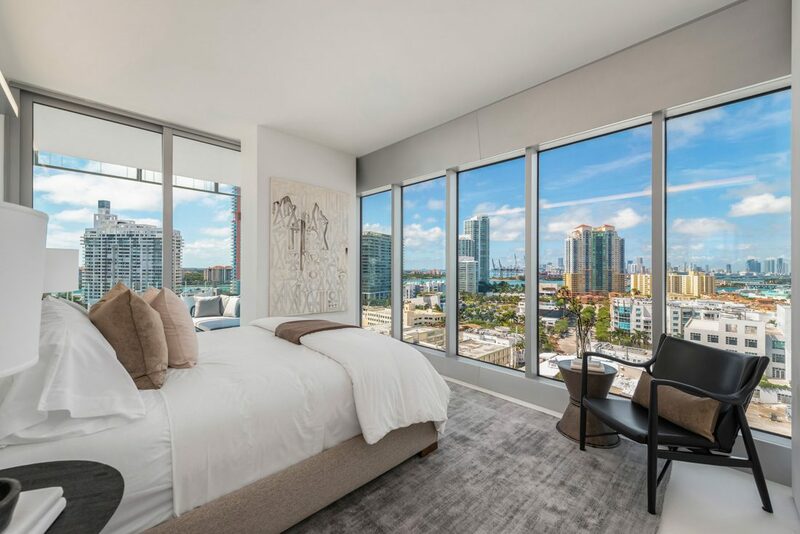 Meridith Baer Home recently staged the 14th floor residence at Glass, Miami Beach’s newest white glove boutique building! 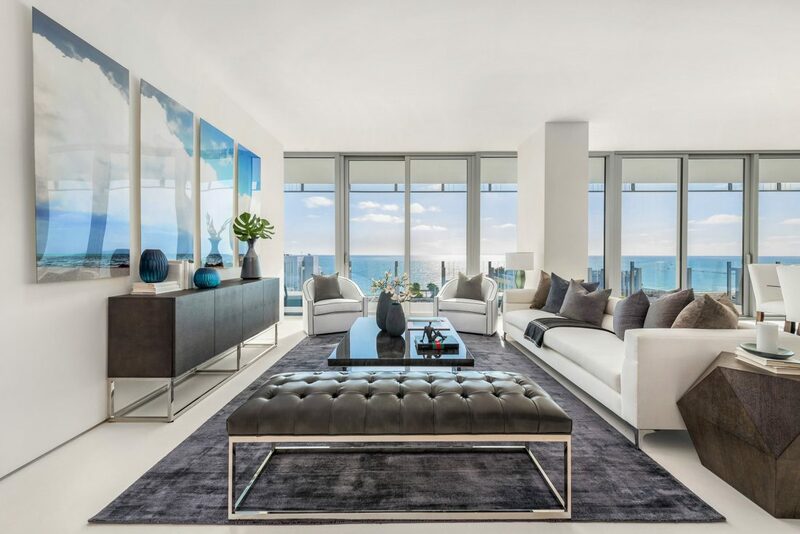 Designed by architect Rene Gonzalez, the South of Fifth development offers ten full-floor units, all with 360-degree views of the ocean, bay, downtown and Miami Beach skyline. 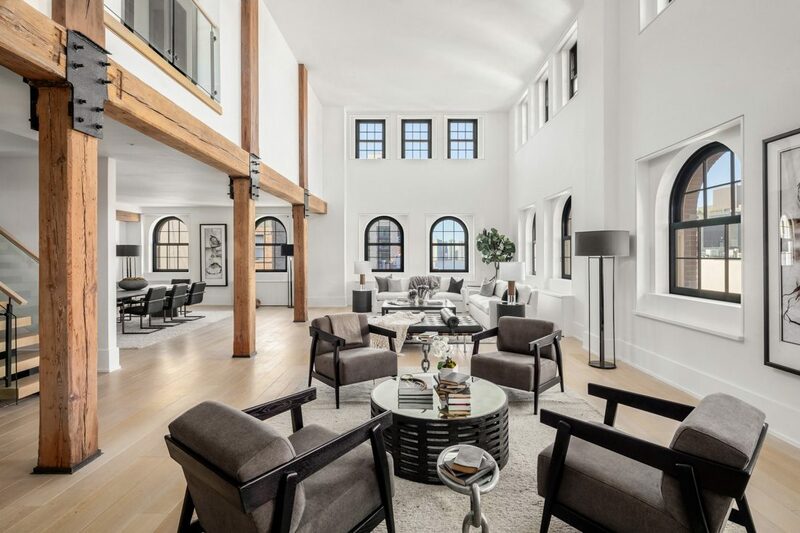 Meridith Baer Home staged one of New York’s most expensive homes for sale: Penthouse H at 443 Greenwich St. in Tribeca, on market now for $57 million! 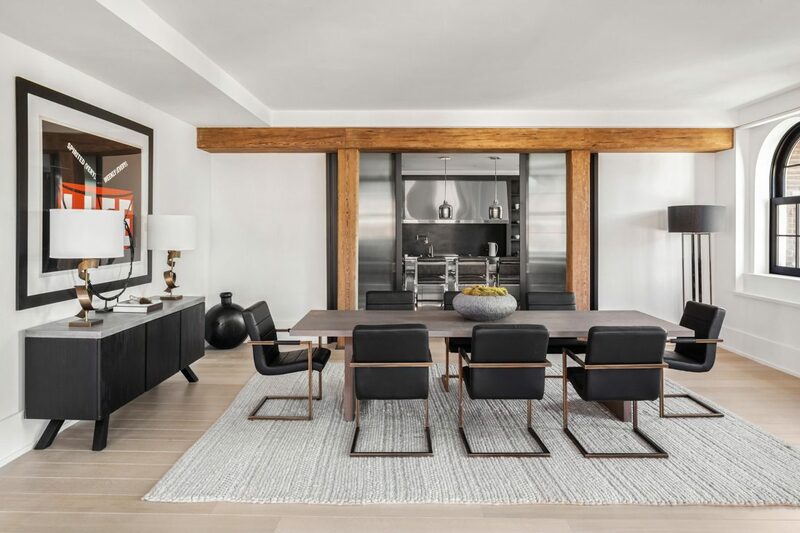 The triplex apartment spans 8,900 square feet and boasts five bedrooms; 6.5 baths; a huge 3,426 square foot outdoor space featuring a rooftop plunge pool and kitchen; and celebrity neighbors including Jake Gyllenhaal, Justin Timberlake and Jessica Biel, and Meg Ryan. 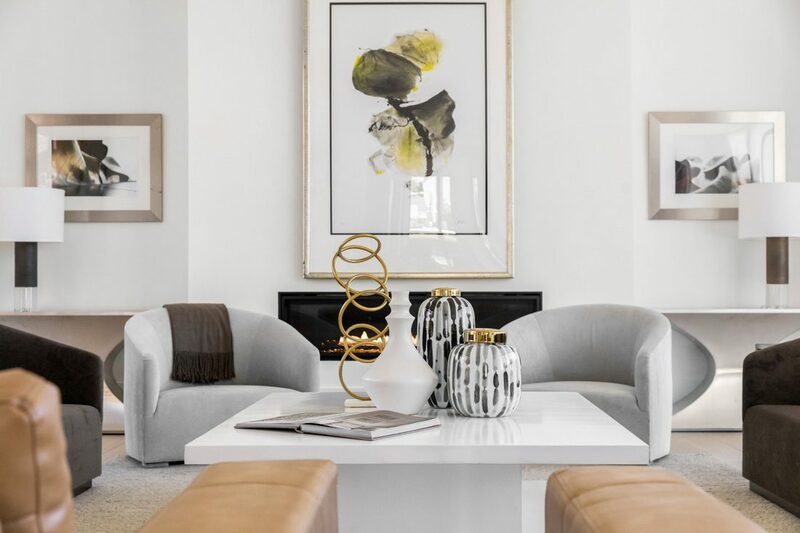 We furnished the entire residence in our signature modern style, with fine leathers, wood accents, and bold art and accessories making it look both lavishly elegant and comfortably livable. 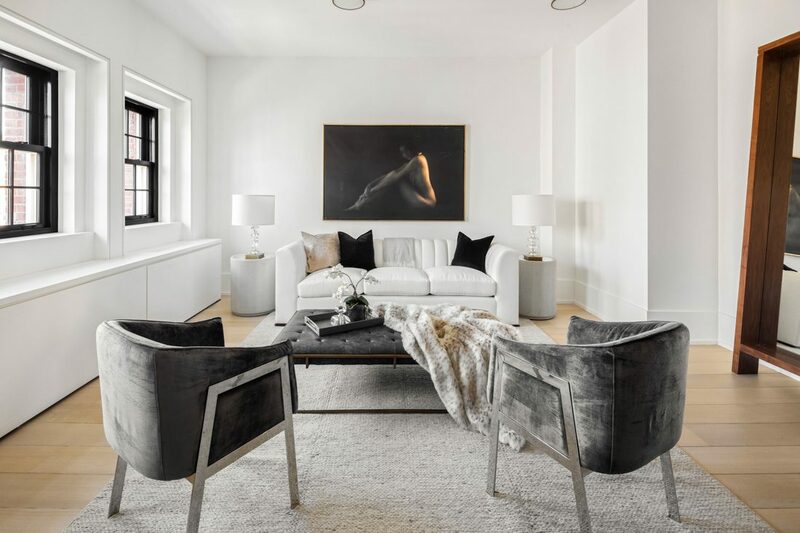 The beautiful images of the penthouse are by renowned New York architectural photographer Evan Joseph. We staged the listing for Brown Harris Stevens. Former New Mexico state senator Phil Maloof is selling his lavish Las Vegas penthouse, staged by Meridith Baer Home! The Maloof family built the Palms Casino Resort, and the residence in the neighboring Palms Place highrise was designed for Sin City style entertaining. 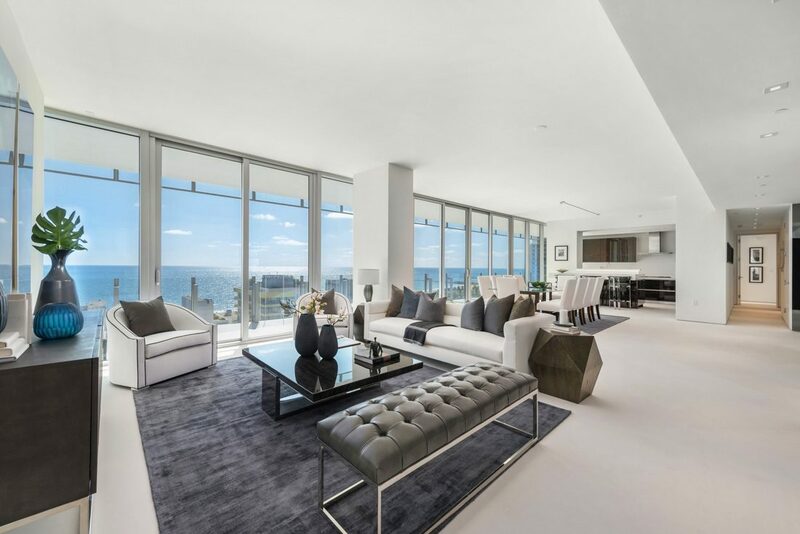 Spanning the building’s entire 59th floor, the condo features three bedrooms, including a master suite surrounded by glass walls; five bathrooms; a DJ booth; gym; and a massive rooftop deck with a spa, 30-foot movie screen, and panoramic views of the city. 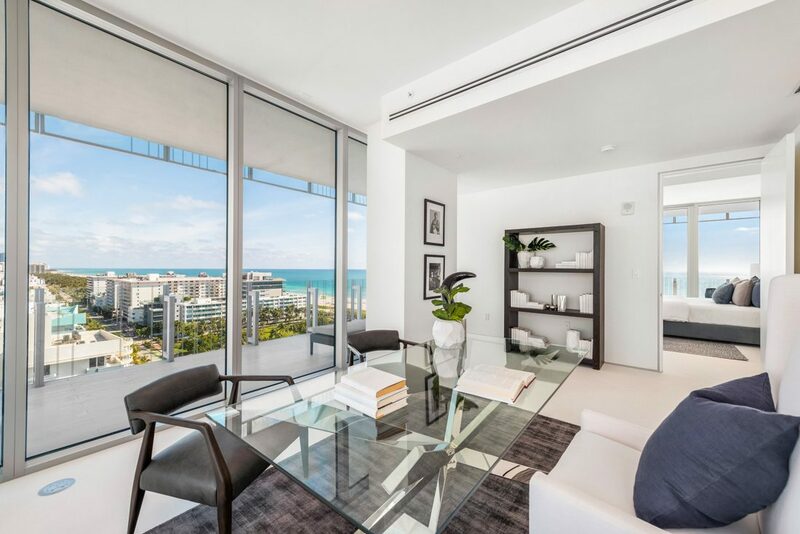 Almost all of the furnishings were selected to enhance the “rock ’n’ roll” vibe of the condo, which is listed with the Ivan Sher Group, Berkshire Hathaway Home Services, said designer Carolyn Greco of Meridith Baer Home, who staged the unit for sale.